What are the best smartwatches for Android and iPhone this year? I lay out my top 5 picks in this roundup. If you’re always found using your smartphone, chances are that you also need a smartwatch. That said, smartwatches are a major tech category. With so many options to choose from, which is the best smartwatch of 2019? Apple released a stunning and a powerful smartwatch with the Apple Watch Series 4. If you’re looking for a simpler offering, you might get overwhelmed by the abundance of features you get for fitness, wellness and connectivity. There’s also a new approach to design by Apple with its latest Apple Watch. Apple introduced 40mm and 44mm sizes with Series 4, as compared to 38mm and 42mm sizes with the previous versions. This means more space for usability and to show off all the latest features that Apple watchOS 5 has in store. I really enjoyed using Apple Watch Series 4. It has a sweat, surf and swim proof design, which means its sturdy and durable. The watch also comes with LTE, so you don’t need your iPhone around and you will still be able to make and receive phone calls, read and send text messages and get all the notifications that you get on your iPhone device. 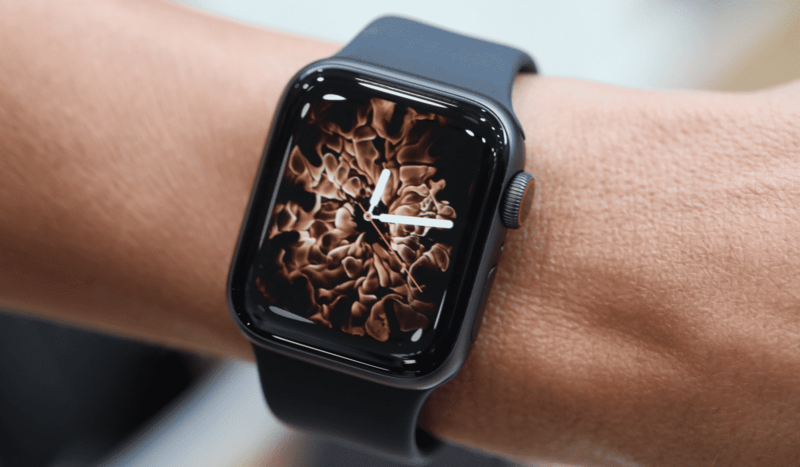 Beautiful design and powerful performance has put the Apple Watch Series 4 on top of my list for the best smartwatches of 2019. When it comes to Wear OS, I think the Huawei Watch 2 Sport is the winner for the best smartwatch title. It doesn’t disappoint. In fact, it sets the bar high for all other Android smartwatches and therefore lands the #2 spot on this roundup for the best smartwatches of 2019. 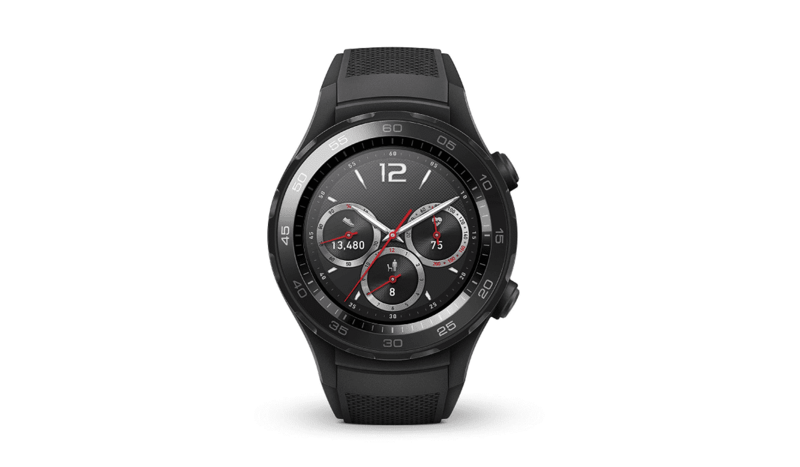 Huawei Watch 2 offers full support for Wear OS 2.0, GPS tracking, and a heart rate monitor. There is a Watch Mode, that turns of all the features and functionalities of Android Wear. It also extends the battery life to 25 days. It’s perfect for times when you are in a hurry or forgot to charge your smartwatch. Although, for standard mode, customers have complaints regarding struggling battery life. Huawei Watch 2 Sport costs you $299.99. It’s available through Best Buy, Amazon, Kohls, Target and Walmart, among others. 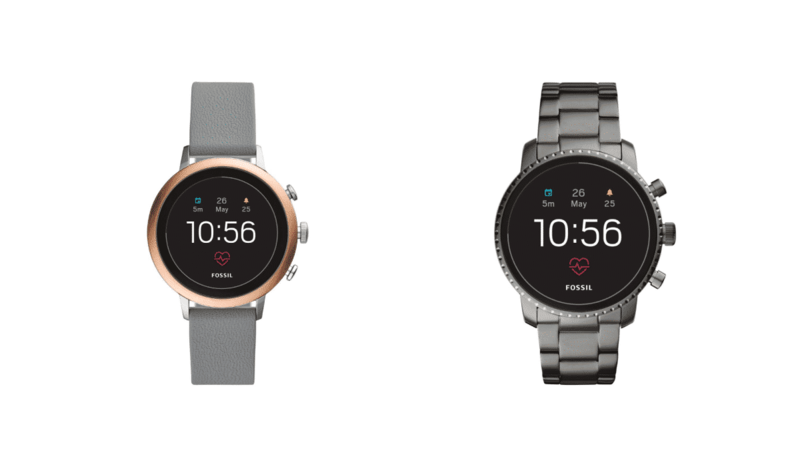 Fossil Q Venture HR comes with an improved design and lots of new tech under the hood. It offers a built-in heart rate monitor and support for Google Pay to make NFC payments. However, you will only last a day when it comes to battery life. While the Q Venture HR is marketed towards women, the slightly larger Q Explorist HR is aimed at men. Although the Q Venture HR is primarily marketed for women, it may be your pick for the best smartwatches of 2019 – gender aside – if you prefer smaller wearable devices around your wrist. The watch comes in rose gold, silver or gold, along with various color and strap combinations to choose from. 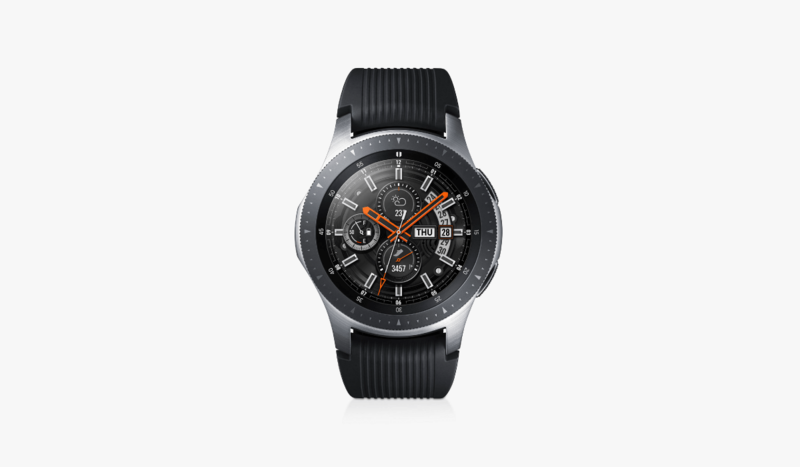 With Samsung dropping the Gear S lineup and calling its new watch the Samsung Galaxy Watch, this is a great pick for the best smartwatch offering powerful features and a new design from Samsung. The new Galaxy Watch comes with 5 sensors, including a heart rate monitor. It also supports 3G/LTE connectivity, so you can be away from your Android device and still be able to access the necessities – phone calls, text messages and notifications. There are 42mm and 46mm variants, with a slightly smaller 1.2” display on the 42mm and a 1.3” display on the 46mm wearable. With new tech, strong battery size for the LTE variant and more RAM, the Samsung Galaxy Watch lands #4 on my roundup for the best smartwatch of 2019. If you want a dedicated health and fitness tracking companion, Fitbit Versa can be a decent choice for the best smartwatch of 2019. With a battery life that can last you over 4 days, and 24/7 heart rate monitoring, the Fitbit Versa is one of the best smartwatches you can invest in this year. 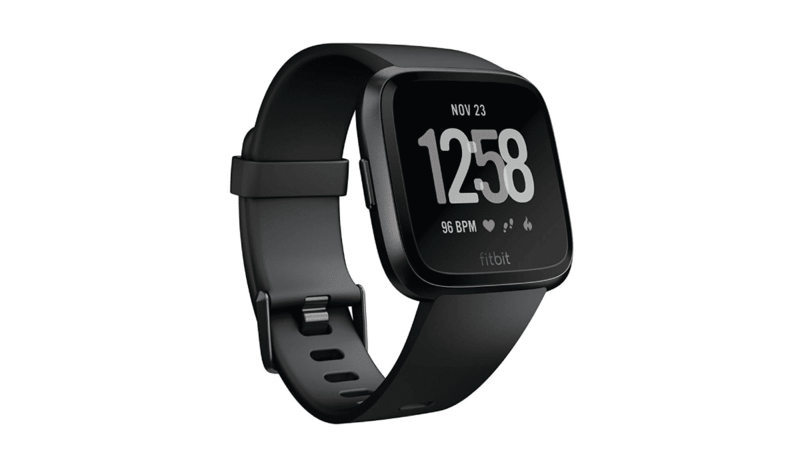 There is GPS tracking, app support, payment support via NFC, Bluetooth connectivity, and a lot more that comes with Fitbit Versa out of the box. With a 34mm size, Fitbit Versa is one of the smaller sized wearables, which means it might not be a great experience for those who like their displays big such as the one on the Fossil Q Explorist HR smartwatch. Fitbit Versa grabs the 5th spot on this roundup for the best smartwatches of 2019. So, those were my top 5 picks for the best smartwatches of 2019. Hope you enjoyed my roundup. Did your top smartwatch make it to my list? Want to make another recommendation? Leave your thoughts in the comments below – I’d love to hear from you. Hi Steve? How are you. Actually Fitbit versa is my personal favorite but you should also put Apple series 3 in this list. By the way. I found this article very helpful.